Regrettably, their influence in America has been understated and often overlooked. 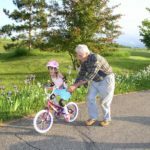 New research demonstrates that grandchildren thrive when grandparents are proactive in supporting and developing a relationship with their grandchildren, and grandparents thrive when they are actively involved in their grandchildren’s lives (Bengtson, 2014). Further, when grandparents are involved in preparing their heirs with regard to perpetuating their values and a strong work ethic, the success of those “prepared” heirs increases significantly (Williams, 2015). 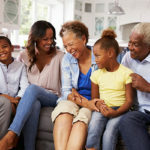 At the National Association for Grandparenting, we seek to validate and empower grandparents as they bond with future generations in meaningful ways and leave a lasting positive legacy. 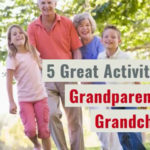 Grandparents are important contributors to children and society, and we are here as a clearinghouse of information, bringing top-notch resources and insights to grandparents. We are also helping to lead an international effort to bring attention to the role of grandparenting. You provide valuable contributions to your grandchildren and entire family by being intentional and proactive in their lives. Don’t underestimate your value or importance.